Morocco is experiencing a resurgence following its re-entry into the African Union and expansion of its energy interests, says Zeeshan Masud from Djembe Communications. Morocco receives very little international media attention, for all the right reasons. The Moroccan government is expecting economic growth of 3.2 per cent in 2018 and perhaps of most interest to comms agencies is the country’s rapidly shifting industrialisation and high levels of inward investment. The political backdrop is an important consideration. There is strong political will towards investing in key growth industries, particularly automotive, aeronautical and electronics. These industries have enabled Morocco to grow its export markets. The country’s leadership has also embraced investment in renewables, which is absolutely crucial – Morocco currently imports 94 per cent of its energy. Petroleum accounts for 20 per cent of the country’s total imports and 50 per cent of its trade deficit, although sustained low oil prices have benefited the economy. Morocco is especially well placed for solar energy, with 266,000km2 of the Mor­occan Sahara [it controls most of the former Spanish colony, which is the subject of a long-standing territorial dispute]. The vast area records almost 14 hours of sunlight a day at the height of summer. The country is building a $9bn solar development that will, over time, reduce its reliance on imports. From a regional perspective, Morocco is now better placed than it was only a year ago to take advantage of intra-African trade. At the 27th African Union summit in July 2016, King Mohammed VI announced his desire to see Morocco rejoin the Union, which it had left in 1984, and the country was readmitted in January 2017. Subsequently, work began on a gas pipeline between Morocco and Nigeria in December, and Morocco signed a €2bn contract with Ethiopia to build an industrial site aimed at making the latter self-sufficient in agricultural fertilisers by 2025. As with most of Africa, comms firms (whatever their discipline) must take a broad view when entering the market. Morocco is a Francophone nation, so consultancies have to hire locals who are educated and able to write well in both Arabic and French. It is incredibly important to hire experienced Moroccans who know the media, und­erstand the cultural nuances and are able to act as client lead. Parachuting in a team of executives from traditional PR hubs such as London adds credibility to local clients, but, on its own, this is not enough. 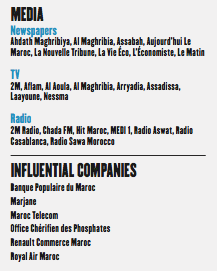 It is worth noting that digital is a powerful platform in Morocco. The country is well connected to international fibre cables and, as of June 2017, mobile internet accounted for 93 per cent of all internet connections. Digital comms are expected to be nuanced and strategic. There are many small agencies offering the full suite of PR tools. However, there is a place for global-standard corporate consultancies that can work closely with ministers and business leaders to help shape national and international reputation. The key is to develop smart, research-led comms tools that add value and help organisations understand their markets and build their profiles regionally. It is perhaps the regional piece that is hardest to achieve because of the continent’s vast size and complex socioeconomic and political make-up. 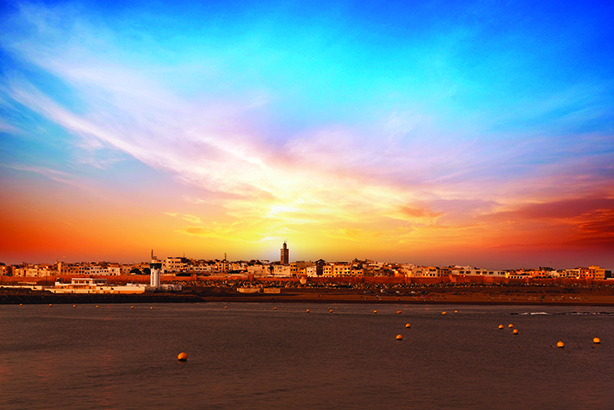 For those willing to invest wisely in Morocco, all of Africa is on your doorstep.